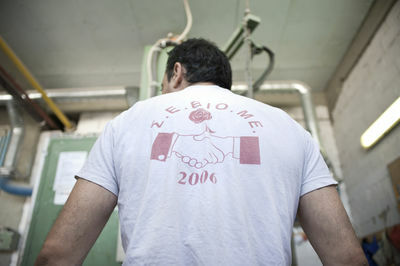 Before the beginning of the international crisis, Viome were a factory in Thessaloniki with around 80 workers. 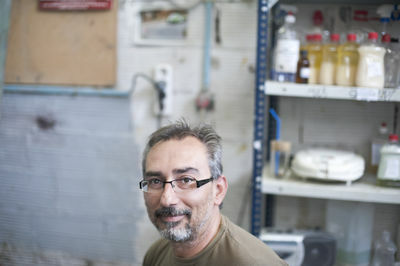 The factory produced chemical products for the construction sector, owned by Philippou family. 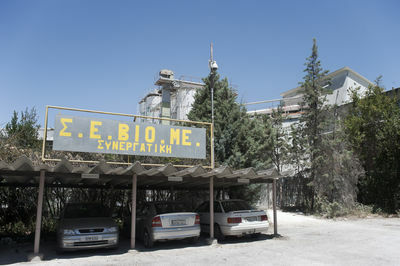 The main company of the Philippou's group, Philkeram-Johnson S.A, were in bankrupt in 2011 and the consequences for Viome were immediately adverse. After institutional meetings without a clear solution, the workers decide to re-take the factory and the production. In September 2012, after a 48hours strike, the workers start to discuss the idea of self-management, and the 97% of workers vote for it. 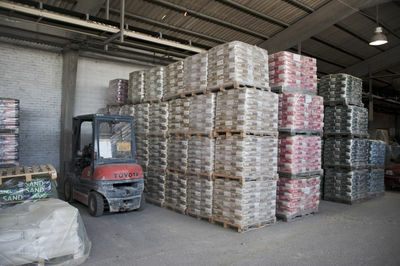 After the occupation of the factory, on 12 February 2013, the workers started the self-management production, selling cleaning products. A huge solidarity movement support the workers, with national and international inititatives to promote and diffuse the "Viome way", where now workers control the factory, without any owner. Around 40 people work in Viome, with a basic wage for everyone and 8 hours working time 5 days a week. The general assembly decide the main question and a weekly meeting discuss he more operative aspects. "At the beginning was difficult, but we are sure that our situation is gonna be better, even better than before the crisis", said a worker of Viome. Economic crisis and bad decision from the Viome's leadership, contribute to the difficult situation of the factory, with with the probable dismissal of around 80 workers. 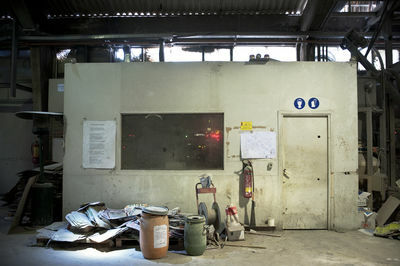 Since the workers have retake the factory, they've started a new production of cleaning products, looking for a sustainable and ethical production, including workers rights and a big challenge: spread the idea that workers create everything, and the have to take bake what they onw, in any cities and countries around the world. 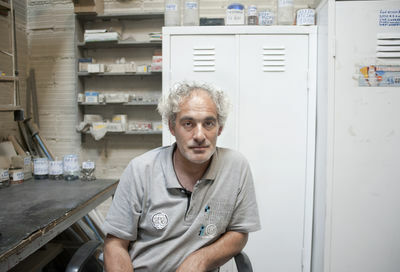 An activist from the "Thessaloniki Solidarity Initiative to the struggle of VioMe" stand in front of the old noticeboard inside Viome. The workers of Vio.Me. has awakened the solidarity of thousands of people, of the workers and the unemployed in every corner of the globe. "What we are doing in Viome is not only about this factory. 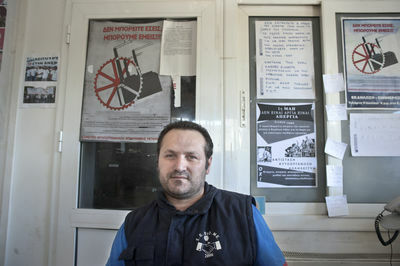 We want to spread this way of production all over Greece and Europe, without bosses and injustice" said a Viome's worker. With unemployment climbing to 30%, workers’ income reaching zero, sick and tired of big words, promises and more taxes, unpaid since May 2011 and currently withholding their labour, with the factory abandoned by the employers, the workers of Vio.Me. by decision of their general assembly declare their determination not to fall prey to a condition of perpetual unemployment, but instead to struggle to take the factory in their own hands and operate it themselves. 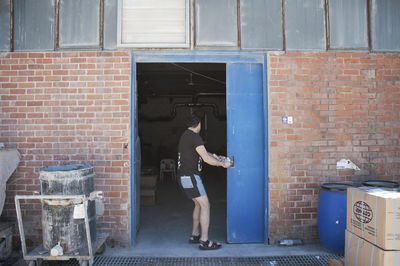 A worker close the factory after his 8 hours working shift at Viome in Thessaloniki. About 40 people work actually in Viome. 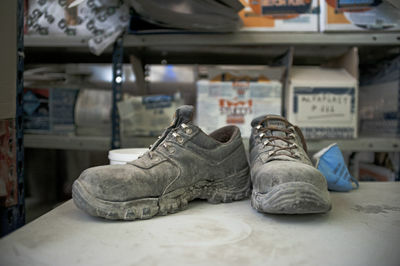 They work 8 hours each day and take the basic wages. 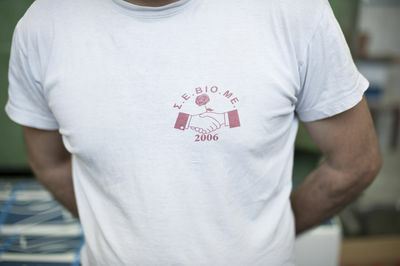 A worker dress the Viome t-shirt inside the factory. The workers are however optimistic: The proceeds from the benefit gig and the donations of supportive groups and individuals collected through viome.org should be enough to keep the company afloat in the first few months. And the support of the social movements means many of the products will be distributed through the existing structures of social and solidary economy. "It's all about workers. 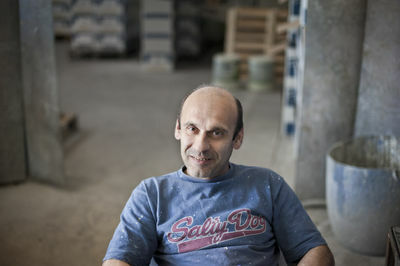 The workers create everything, they have to take back what the own", said a Viome's worker. 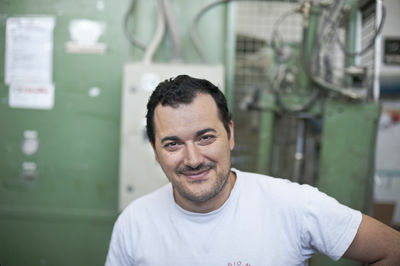 "At the beginning was so difficult, we occupy the factory and now the situation is gonna be better every day, even better than before the crisis", said a worker of Viome. In the general assembly, workers discuss general question, and they have a weekly meeting to plan the production and the working time. Workers inside Viome attending the visit of Naomi Klein. 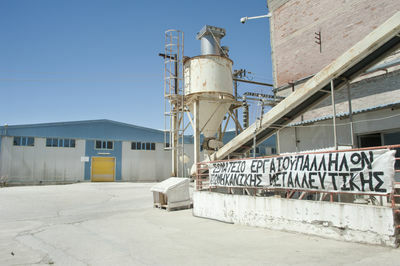 One of the main problems for Viome was the Filkeram factory (building product), owned by Georgios Filippou. Even before the crisis, when the Viome's situation was good, the owner started to cut wages and hire workers.